I'm sure you've seen online that we moved into the house!! Yay! We thought it might never happen. After working on this place for so long (a year and 2 months...who's counting...), it's got a feeling of familiarity with a side helping of I can't believe this is ours, plus a big ol' dollop of weird. It's dang-near unbelievable that it's a real house and not a shell and that it's really ours. Like, for real in real life. John and I are still a little stunned that we have this house, period. 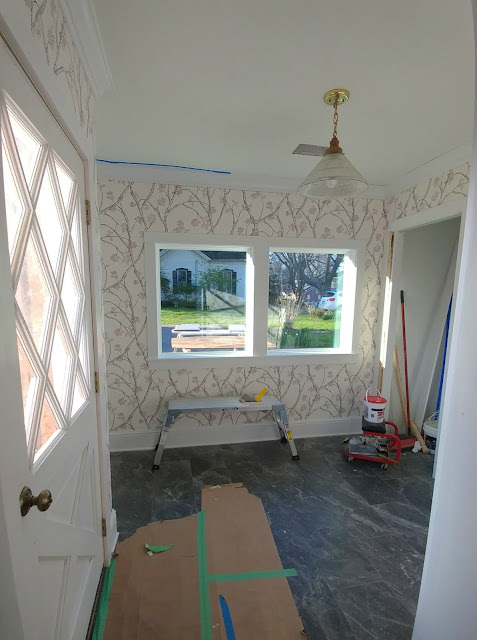 For years we've been talking about restoring an old home and we travel so much and have used each home as a landing pad, it felt like something that might happen way on down the road. So when the opportunity truly fell into our laps, and it happened sooner than we anticipated, well, we had to pinch a plug out of ourselves to remotely believe it (not literally, cuz who likes to get peenched...?? ).